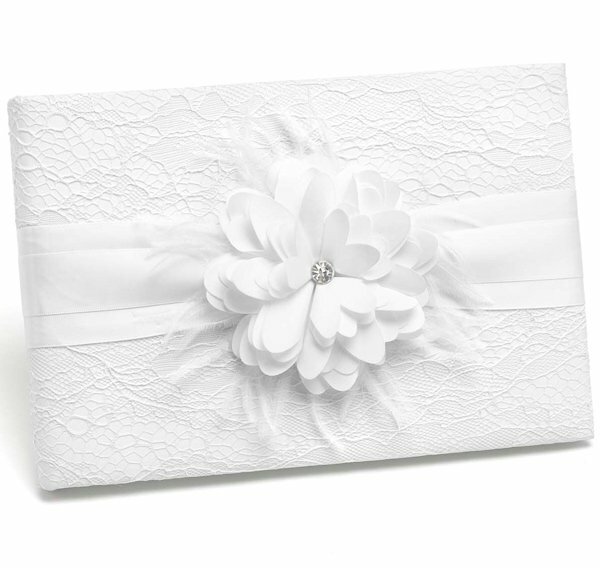 Record wedding guest names and thoughts in this white-on-white guest book. 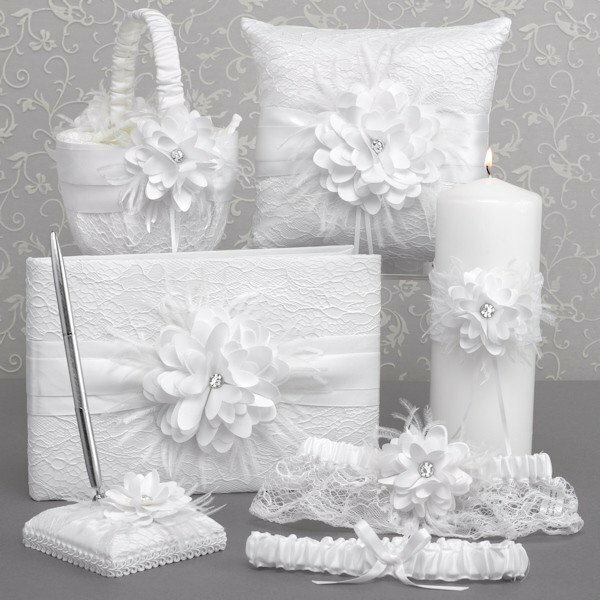 The delicate design includes layers of white lace, a wide center band made of white satin, a center flower accent with rhinestone sparkle, and wispy white feathers to create a starburst feel. The guest book measures 6 1/2" by 9 1/2", with room for up to 600 signatures. 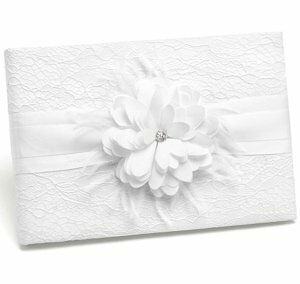 If you don't have that many guests attending, ask them to each leave some words of advice for the newlyweds.